If you’re new to the world of online casinos, you’ll more than likely be baffled by the staggering array of different online casinos available to you. From massive names through to lesser-known companies, the internet is awash with different choices, all of which try to sell their services to you with a variety of promises. So, how to you cut through the talk and go about picking the online casino that suits you best? After all, the last thing you want to do is deposit somewhere, only to find that it doesn’t suit your requirements at all. 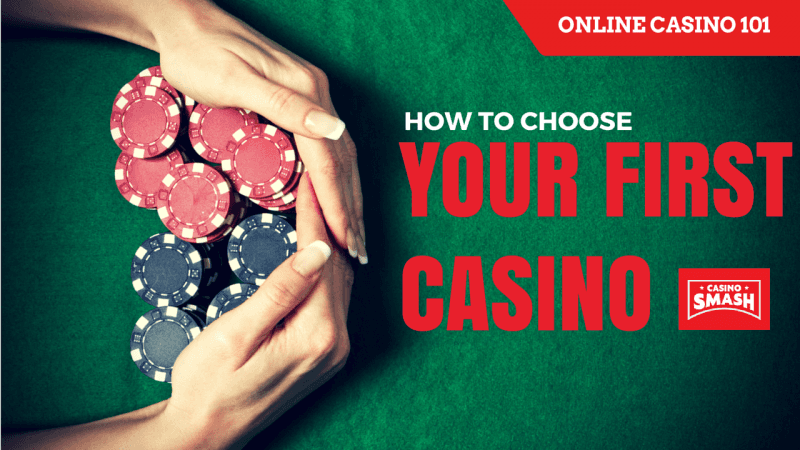 To help you make the right choice, you’ll find a handy guide below, packed with all the elements you need to look at when choosing your first online casino. Don’t be distracted by any unnecessary noise, as the most important aspect of any online casino is simple to point out: it’s the games that they offer. After all, these are what will bring you both fun and (hopefully) some really nice prizes, so they have to be perfectly right for your requirements. There’s good news in this area though, as the vast majority of sites will not only allow you to look through their game selection before signing up, but will also allow players to try them out for free, using play money. This is something every player should do before committing their own cash at an online casino. But - what sorts of games might you find? New players could be forgiven for thinking that all games on a site are online slots, because they make up the vast majority of the games at any online casino. Keep a particular eye out for progressive slots though, as these are the ones with the biggest jackpots, often stretching into the millions. 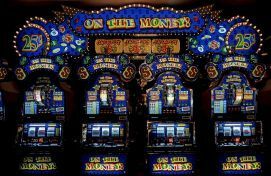 Don’t worry if you aren’t a slots fan though, as sites also offer many other games too, and these are usually found tucked away under "Table Games." These games include roulette, blackjack and baccarat, and can also include three-card poker, craps and much, much more. The best online casino will also have multiple versions of each table game, just to keep things interesting. In recent times, online casinos have also introduced another type of game to their sites: live dealer casino games. If you get the chance, you should absolutely have a go at them, because they are the most realistic games around. You can also use them to judge how good a site is, as some casinos are yet to adopt them – and these are the casinos that clearly don’t update their games enough, and should probably be avoided. Next in terms of importance are the bonuses offered by a site, and the first thing you’ll be looking for is the welcome bonus they offer. The vast majority of sites have welcome bonuses that multiply your first deposit, therefore meaning that those depositing, for example, €50 could find themselves with €100 or more to play with at the beginning. Some welcome bonuses also include free spins as well, and these can be a great way to get to know a slot without having to risk any of your own money. It’s very important that you aren’t just drawn in by promises of a big welcome bonus though, as these will only last for a short while. This is why all players must also check to see what other bonuses the casino offers for existing players. The most important of these are reload bonuses, which will add extra money to any deposit made, regardless of whether it’s your second or one hundredth at the site. A loyalty scheme is also preferable, as these reward players for their time at the site, allowing them to trade in points for prizes, such as cash or free spins on specific slots. PRO TIP: Keep an eye out for casinos that are active on social media, as exclusive bonuses and promotions are often advertised there. It should be mentioned though that bonuses sometimes aren’t all they seem, as they have caveats attached to them. The most important of these to look for is the rollover requirement. This mandates how many times a bonus has to be played before it (or any winnings won from it) can be withdrawn. So, if you got a €100 with a 30x rollover requirement, you would need to make a total of €3,000 in bets before it could be withdrawn. It goes without saying that lower rollover requirements are much better for the player. To know more about casino bonuses, check out this article titled Deposit Bonus Vs. No Deposit Bonus: What's Best For You? It goes without saying that you have to play at a site that offers fantastic safety and security. There’s good news here though, as online casinos are no longer like the Wild West, and are strongly regulated and policed. This means that pretty much every online casino is safe to play at. It’s important to mention here that all of the online casinos recommended by CasinoSmash are completely safe to play at, and we’d never recommend a site if we had even the slightest inkling of unfair practices. But how do you go about identifying the safest sites? Well, the biggest key is to look at who they are regulated by. All casinos must be based somewhere, and these countries are responsible for policing them and checking that they comply with regulations. Some of the more popular places for this include Malta and Gibraltar. Those in the UK should also check that the site is overseen by the UK Gambling Commission -–in fact, those from anywhere in the world can use this to identify sites that are monitored and tested thoroughly. It’s also important to see whether a site uses third-party verification for their software. This means that all games are looked at by an independent company, and are shown to be completely fair to players. These third party companies will look at things like random number generators and return to player figures, confirming that the casino is not cheating players out of money. Banking at an online casino might not be the most glamourous of subjects, however it is a vital one. The last thing you want, is to give your money - and perhaps also your credit card details - to a bad company or one of the rogue online casinos listed here on our pages. After all, do you really want to sign up with a casino, only to then find that it doesn’t accept your preferred payment method? When looking at the payment options, you should also check to see if there are any charges attached to deposits and withdrawals. The best sites allow players to deposit and withdraw without incurring any charges at all, however it isn’t uncommon to find sites charging a small percentage of the amount to their players. Also, check to see how long withdrawals take from different casinos, as they can range from instantly through to over a week. The final thing to look at when thinking about which online casino to choose is customer support, and this can come in many different forms. Perhaps the most important thing to check is that support can be reached immediately though, and this could either be through live chat or telephone. If it is the latter, also check that they aren’t using a premium rate phone number, which could cost you huge amounts of money to use. It might even be a good idea to try out the support before signing up, to see if a site answers their live chat requests quickly, or picks up the phone without too much of a delay. Another important aspect, although not one that involves any contact with the site, is the FAQ section that they offer. These are important, as they allow players to get answers quickly. They can vary massively between different sites though, from a couple of FAQs through to comprehensive pages on every topic imaginable. The latter is clearly preferable. For a comprehensive run-down of the different support options offered at a casino, check out the reviews here at Casino Smash. They’ll let you know all the different customer support options offered, so you don’t need to trawl through each and every site for yourself. So, once you’ve looked through all of the different topics above, you should be able to pinpoint the casino that is perfect for you. The selection of games, closely followed by the bonuses on offer, is the most important thing to consider, but don’t forget about the less glamourous aspects of a site as well, such as customer support and security. Also, don’t forget that there’s nothing stopping you from signing up with multiple sites, so that you can get the best of all worlds. Of course, the best way to find the top casinos on offer is to simply look through our range of reviews though, which are completely honest and 100% accurate. At the moment, our top choice is Energy Casino, so why not start your search for your next place to play there?